Well hello! I actually feel like I haven't blogged for ages-life has just totally taken over and I am relying on scheduled posts at the moment. I honestly don't know where time is going! A sure sign I am getting old I feel!! 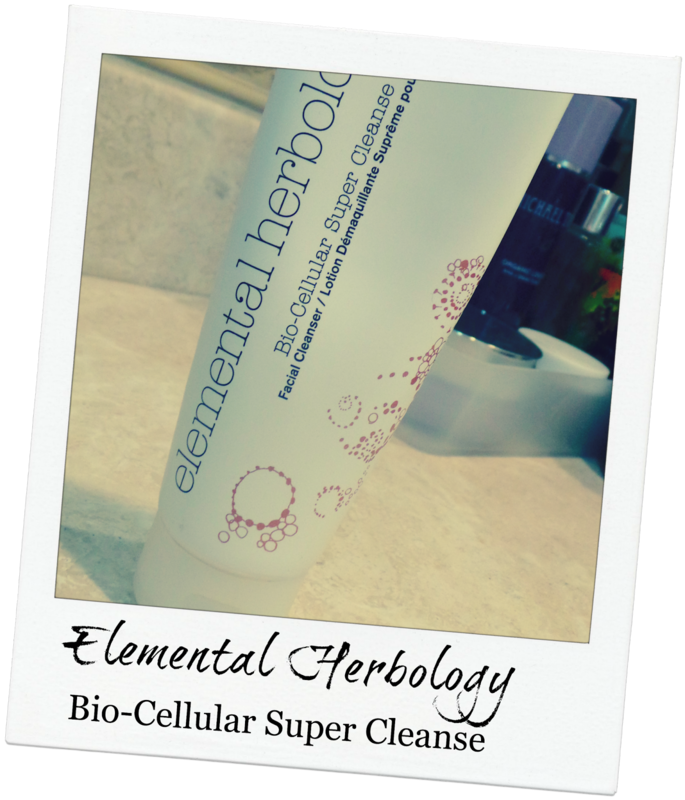 Here's a review of the Elemental Herbology Bio-Cellular Super Cleanse. Elemental Herbology is a skincare brand I have discovered in 2013 and the Bio Cellular Super Cleanse is the third item I have purchased from the range and enjoyed using. Firstly-who are Elemental Herbology? Elemental Herbology was created by Kristy Cimesa and her philosophy is to produce products which are packed with nutrients, luxurious to use and deliver amazing results. Kristy’s vision of creating a range of skincare that is devoted to balancing the main elements that affect the skin – hormones, lifestyle and environment – has been brought to life with Elemental Herbology. The first thing I tried from their range was the Moisture Milk moisturiser which I reviewed here. The second thing I tried was the Cool and Clear Facial Cleanser which was a great morning cleanser. The Bio-Cellular Super Cleanse is a thick cream cleanser. I have been using it in the evening after my first 'make up removing cleanse' as my second cleanse. The cleanser is packaged in a squeezy tube which is my personal preference to keep it sealed and hygienic. The Elemental Herbology website describes this as a milk but it's much thicker than that. It's not a balm cleanser, it's more like a cold cream you apply to dry skin, massage and then rinse off (I use a damp flannel). The cleanser is rich in Omega 3, 6 and 9 to purify the skin and stimulate cell turnover. Apple AHA’s rich in Malic Acid exfoliates dead surface cells to help improve the skin’s texture and reduce the appearance of fine lines and wrinkles. Kombuchka™ helps increase skin radiance and vitality. Lipofructyl Argan rich in Essential Fatty Acids is intensively nourishing and moisturising. Vitamin C helps to reduce the appearance of pigmentation. Rosehip helps to nourish and calm. Camellia helps to smooth and moisturise dry and mature skin. Ubuntu Baobab and Macadamia Oil help to radically improve moisture levels and soften the skin. Lavender Oil helps to soothe and calm sensitive skin. I find this cleanser is very soothing on the skin. My skin has been clear and felt nourished since I have been using this cleanser. It's definitely a 'second cleanse' product to give your skin nutrients and skin care benefits rather than a 'cleaning' cleanse because I don't feel it's very good at removing make up on it's own. But as a 'second cleanse' cleanser it's really good.